In June 2012, Toronto’s historic Brick Works will host Design by Nature, a unique exhibition of functional furniture and sculptural work made from re-purposed materials. The juried exhibition of proposals by designers, furniture makers, artisans and installation artists, “demonstrates the connection between design and sustainability,” says Matthew Cohen, the man behind Design by Nature. 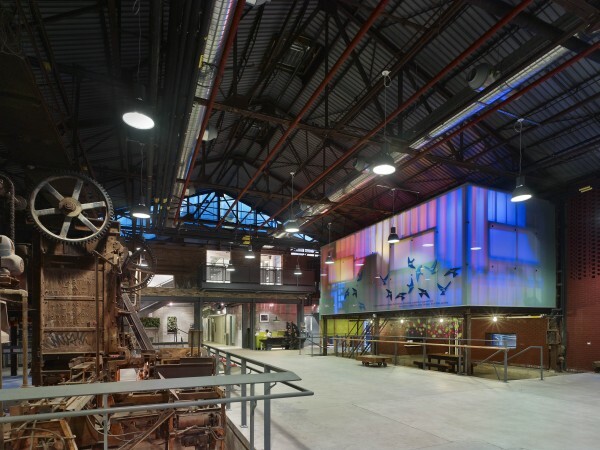 Cohen previously managed the interior design and furnishing of Evergreen Brick Works and is currently the Director of Sustainability at Perennial Sustainable Solutions. He says the exhibition is intended to spark discussion about the design community’s role in defining and shaping a greener, more sustainable city. For Evergreen co-founder and Executive Director Geoff Cape, programs like Design by Nature offer an opportunity to promote new ideas, energy and talent. Since taking over Toronto’s historic Brick Works buildings in 1991, Evergreen has become a leader in supporting more sustainable ways of living through local schoolyard, park and community greening projects across Canada. The winning proposals will be installed at the Brick Works in late June and remain on display throughout the summer. Submissions for the exhibition are being accepted until May 11, 2012. The four winning proposals, as selected by a panel of local design leaders, will be announced at the Design by Nature opening reception that is set to take place in the last week of June.